Even after being discharged from Houston Methodist Hospital following treatment for bronchitis, Barbara Bush, 91, stayed an extra night with former President George H.W. 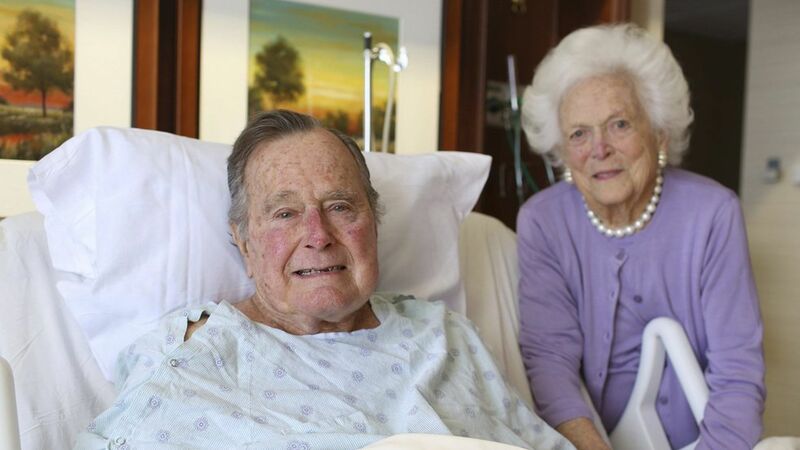 Bush, 92, who's still suffering from pneumonia but is ready to leave the ICU. Dr. Amy Mynderse said at a news conference yesterday: "Other than sleeping in separate rooms, … she has been sitting at his bedside most of the time."